Reebok links up with Shaq for a new commercial which is inspired by the former NBA star’s roots in Newark and the upcoming “Brick City” color way of his Shaq Attaq sneakers. Watch as the Diesel shares walks the halls of his old school and drops some deep narration on what his city means to him and how it was responsible for molding him as a person and a player. 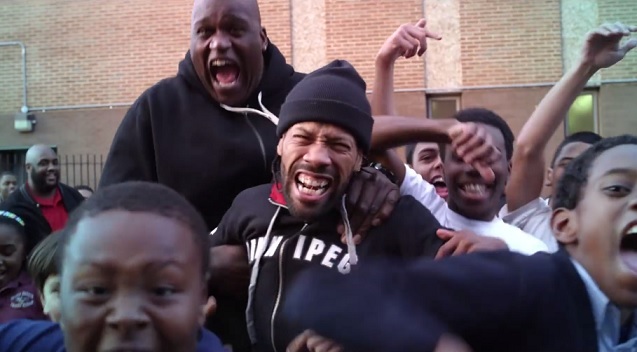 Rapper Redman also makes a quick cameo towards the end along with a few students who join in to have some fun. 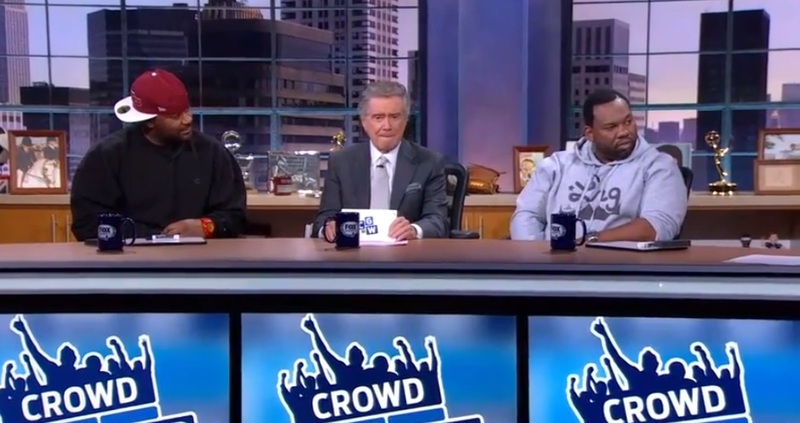 Here’s some entertaining footage of Wu-Tang Clan members Ghostface Killah and Raekwon on Regis Philbin’s new show on Fox Sports called “Crowd Goes Wild.” At one point the rappers decide to partake in a segment titled “That’s A Rap” where they have to identify, fill in the blank and finish a random rap quote from the likes of Macho Man Randy Savage, Dieon Sanders and Kobe Bryant. Check out how it all went down live on cable television. 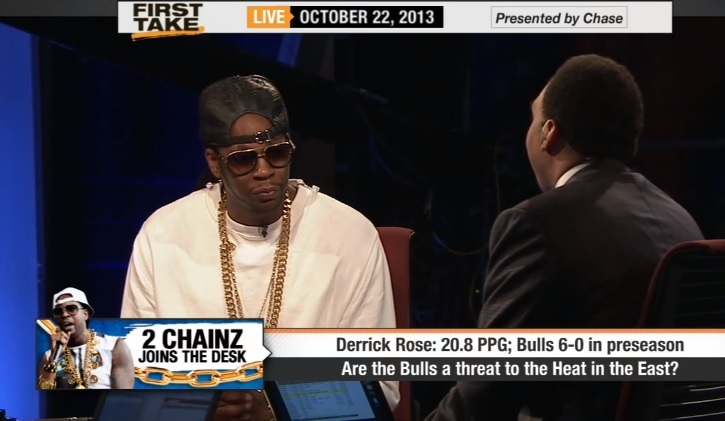 2 Chainz joins Stephen A. Smith and Skip Bayless on a new episode of ESPN’s First Take. Take a look at this clip from the show which showcases the G.O.O.D. Music artist weighing in on the debate if the Chicago Bulls and Derrick Rose have a real shot at competing with the Miami Heat and Lebron James for the eastern conference. Skip Bayless backs the rapper up and sides with him on the issue as he puts his faith in Miami by explaining that despite Derrick Rose’s obvious skills he’ll still be unable to single handedly defeat Lebron James and company. Stat Quo delivers a new music video for his song “Michael” which is featured on his upcoming All This Life Allows(ATLA). The ode to legendary NBA star, Michael Jordan, finds Quo reflecting in the first verse on his appreciation for the legendary player and dropping bars on his infatuation for Michael’s infamous sneaker brand. However, Stat Quo keeps the theme of the song going as he laces the track with lines dedicated to former heavyweight champion boxer Mike Tyson and deceased pop king Michael Jackson. B.O.B drops off a new music video for “Ready” featuring the autotune champ Future. While the R&B crooner lays on the slurred delivery heavy for the song’s hook, B.O.B. shows off his wordplay and reminds the competition of how hard he’s working and why he’s always considers himself “Ready.” The visual came together pretty dope too as it showcases a number of big fights in sports history. Hip Hop recording artist Kendrick Lamar performs “Poetic Justice” on SportsNation’s Madden Cover Vote kickoff special.